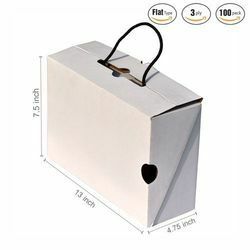 Manufacturer of a wide range of products which include shoe boxes for pharmaceutical industry, premium shoe box with rope, shoe packaging box, premium shoe box with rope white, premium shoes box 14.00 x 8.00 x 5.50 inches - corrugated box 3 ply and shoe boxes. 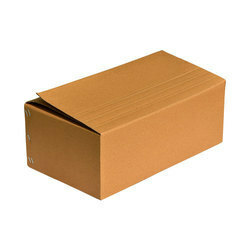 We are offering wide range of Shoe Boxes for Pharmaceutical Industry. 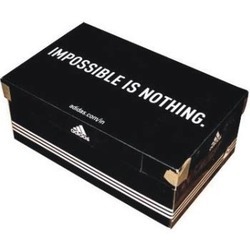 These Shoe Boxes are manufactured using high grade materials that are well tested and verified adhering to global standards. Furthermore, our boxes are thoroughly checked by expert quality controllers on various parameters to ensure flawlessness. 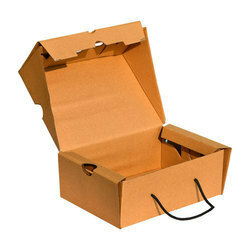 Premium Shoe box with rope for hoding. Available in multiple sizes and with custom printing of brand / logo. 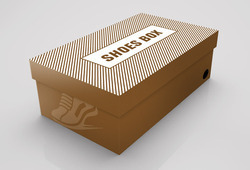 Shoes packaging boxes in multiple colors - white, brown and custom printed. 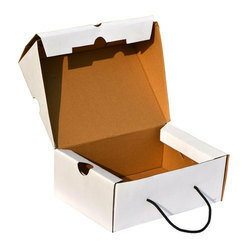 Premium shoe box with rope in white color. 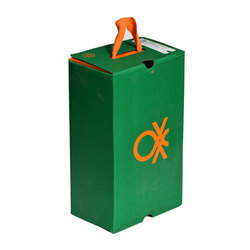 Standard industry size with option to print your own company logo.